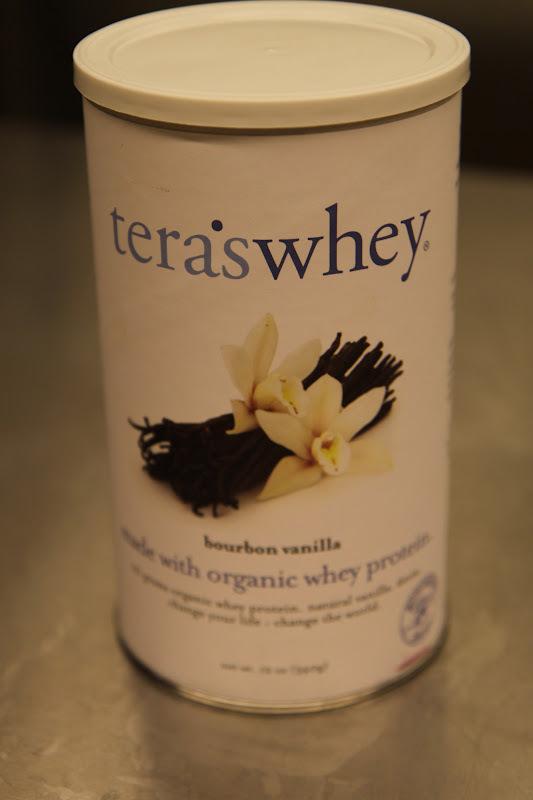 I have recently fallen in love with Tera's Whey. My Coconut Milk, Whey Protein and Blueberry Smoothie just isn't the same without it. Tera's Whey is made from organic cow and goat whey proteins and is sourced from small Wisconsin family farms and artisanal cheesemakers. I am partial to the bourbon vanilla flavor which carries a light sweetness from Stevia leaf, a natural and fructose-free sweetener. It is produced in a "green factory that touches the planet lightly." Nice! It is also just plain delicious and is a great way to get some high-quality protein easily any time of day.